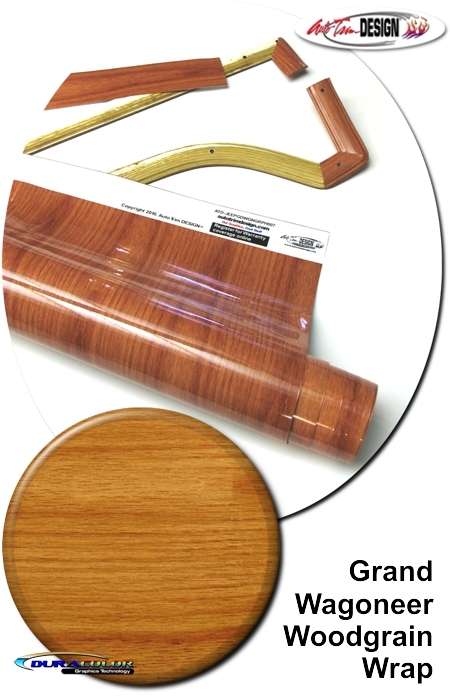 Restore your Grand Wagoneer's trim with our American Oak Trim Wrap kit. Created specifically for '81-'91 Jeep Grand Wagoneer trim surrounds, wrap film renews* factory trim pieces and looks great when applied. The American Oak wood grain print is captured in this high-definition print. Digitally printed with our DuraCOLOR graphic technology, vinyl product used is manufactured with an advanced air release system, a grey-pigmented solvent-based repositionable adhesive and cast construction for highly conformable performance of the most difficult curves and irregular surfaces. Moreover, the graphics are covered with a 2 mil clear gloss laminate which will protect the decal from miles of abuse. Graphic component is covered under an Oracal OCS7 Seven (7) Year Limited Outdoor Warranty. For straight pieces, simply cut 2.25" (57.15mm) strips which offers enough material to wrap around the edges to the rear of the trim. Curved pieces, such as Wheel Well trim may have to be template cut utilizing the trim itself. 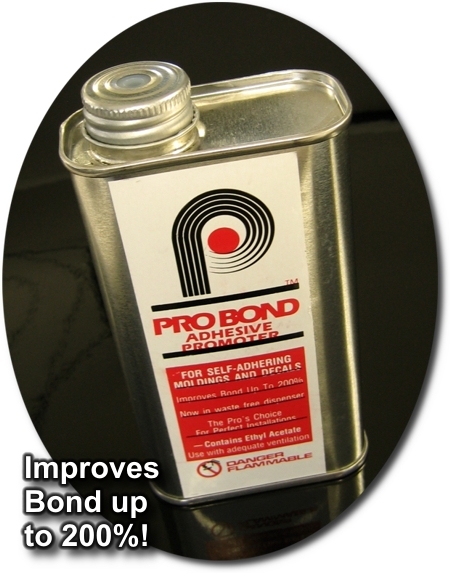 Pro Bond™ Adhesion Promoter suggested for better adhesion to the slightly depressed areas at each side of trim. * Please Note: While color and grain is not a direct match to original factory trim finish, a completed project "renews" the overall look and enhances the restored appearance. 'Click' Here for a color sample.